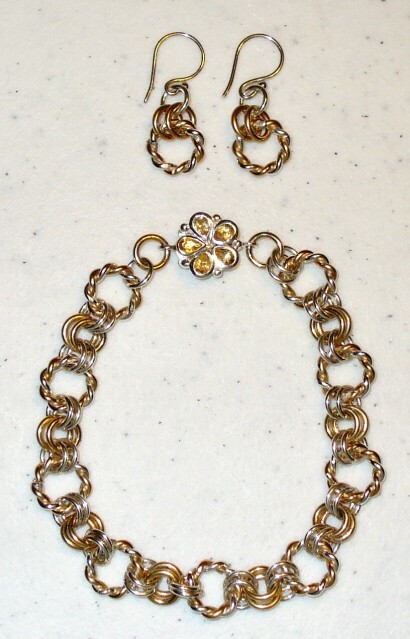 The Twisted Ring Link Bracelet and Earrings utilize a specialty ring Steve makes with both yellow gold filled and sterling silver wire in a twisted pattern. This is wonderful for a charm bracelet or just on its own. The earrings can easily be made longer with a few additional rings. It is truly beautiful and unique. This is a beginner weave. The clasp is not included in the kit.